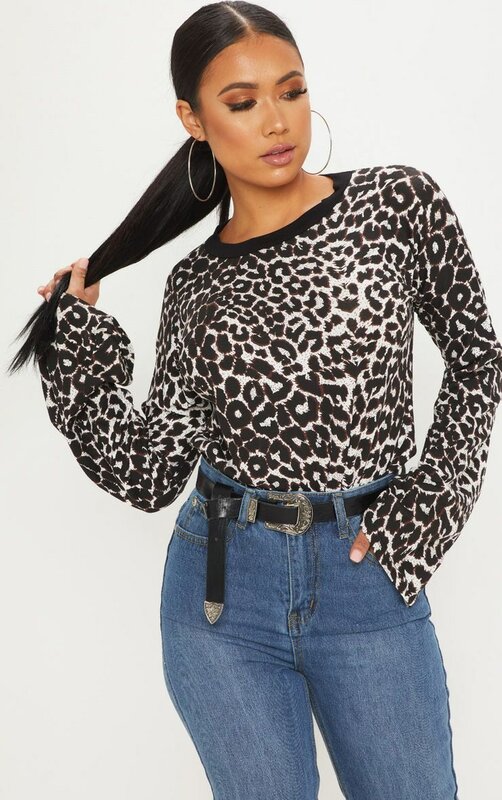 Go back to basics with this tee. 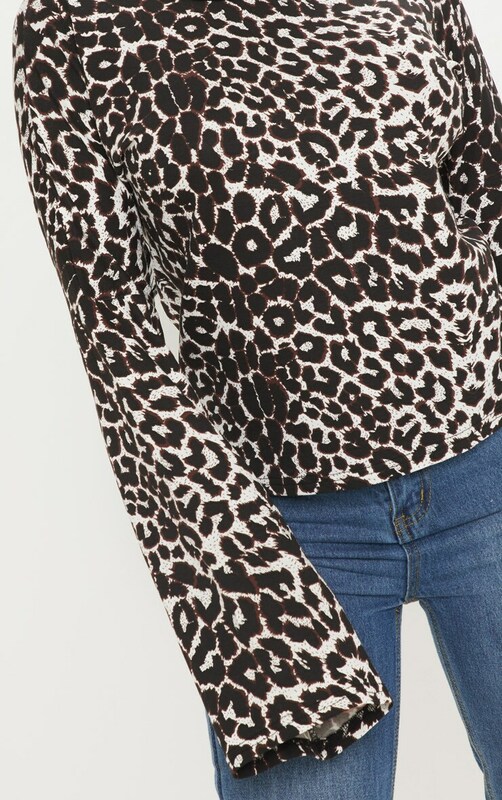 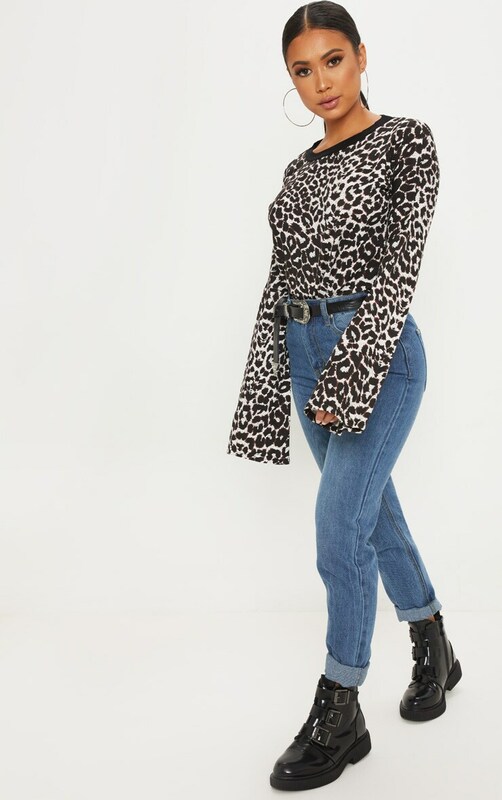 Featuring tan leopard print material and a flared sleeve design. 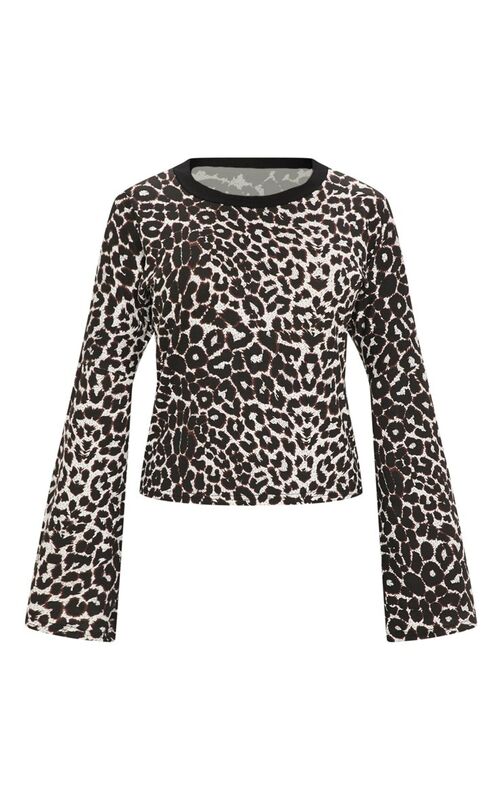 We're loving this teamed with jeans and chunky ankle boots for a cool off-duty look.